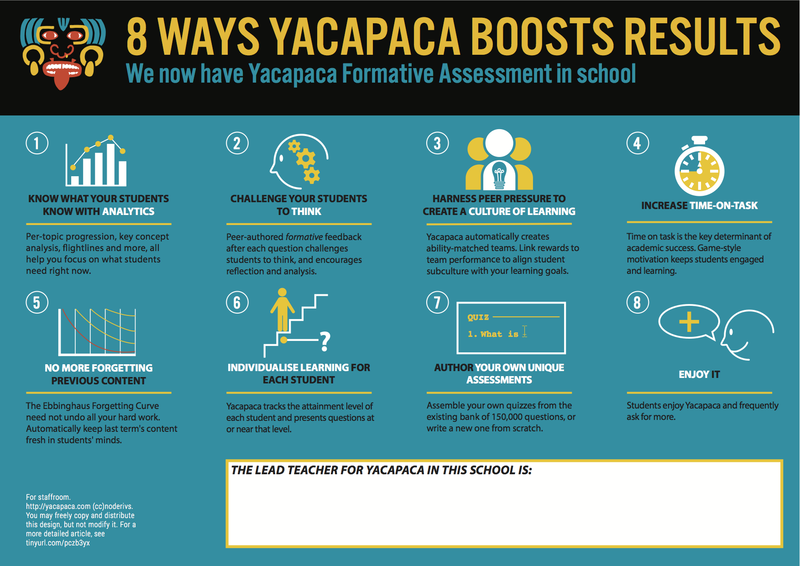 To help you raise enthusiasm for Yacapaca in the school, we now have a fantastic set of posters to put up in the ICT Suite and the Staffroom. Download the files (PDF) here. There is no charge. Print as many as you like, at any size from A3 upward. 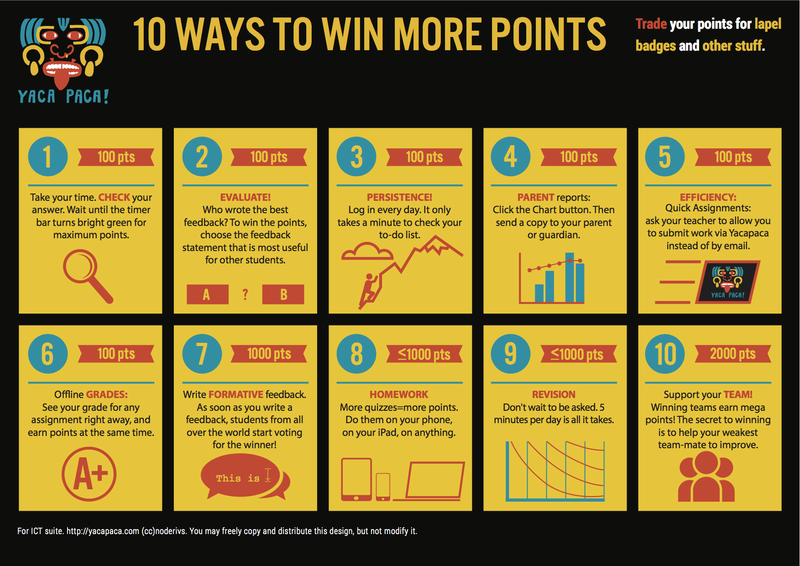 …or get a pre-printed set. 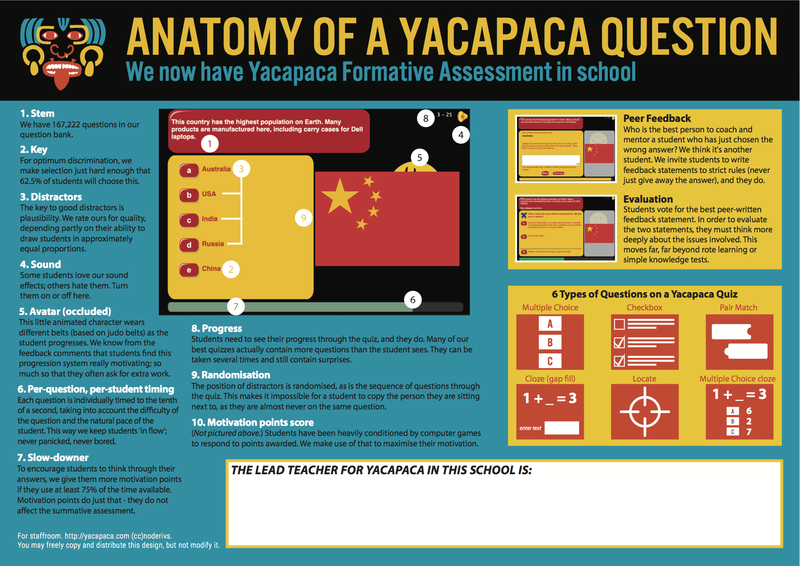 My particular thanks if you were one of the Yacapaca members who helped refine the designs. Josh and I sweated over every last pixel of these posters and I feel really proud of the result. I hope you find them useful, and will be delighted to hear your feedback. 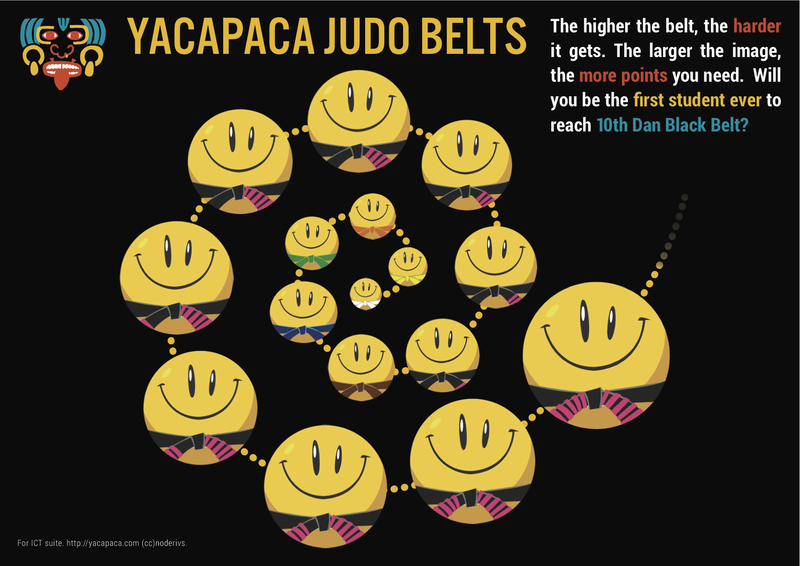 This entry was posted in Yacapaca and tagged anatomy, infographic, judo belts, multiple choice, Poster, Posters, promotion, results, win points. Bookmark the permalink.